BBN Fitness Studio is available to fitness trainers and instructors to work with their private, semi-private and small group training clients. You and your clients will love our space! Contact us to learn more about rates and availability, or buy time/space now (click products)! Sherry Green is an Ann Arbor, MI native who began her sports career when she started walking at 9 months old. A track athlete at Penn State University, she set multiple school relay records and received First-Team All-Big Ten Honors. An indoor 500m/600m specialist, she hung around on the All-Time Top 5 lists for several years post-graduation. 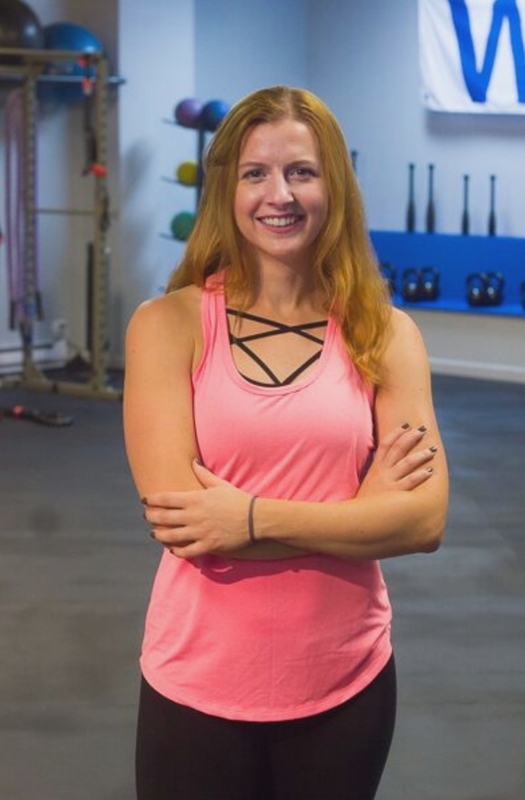 Sherry spent her first year post-graduation as an ACE-certificated Personal Trainer at a boutique fitness studio in Syracuse, NY specializing with a post-rehab clientele. While she loved her job and her clients, she did not love the 130 inches of snow and therefore moved to Chicago. A job at a well-known chain broke her spirit as she quickly learned that number of sessions she could sell was more valued than the quality of her work. She entered the business world but never lost her passion for health, fitness and teaching. She will be training a select number of clients during evenings and weekends exclusively at the Body by Nature studio. In her free time, Sherry keeps in shape with a variety of athletic pursuits including competitive flag football, boxing and yoga. When not working out, she enjoys cooking, volunteering at the Anti-Cruelty Society (where she trains both dogs and fellow volunteers), reading and watching a bit more tv than she should probably admit. She can be reached via email at SGreen400@gmail.com. Lauren is a 500 hr registered yoga teacher, and completed both her 200hr and 300hr yoga teacher training with Yogacara Global in Hawaii, USA. and Bali, Indonesia. 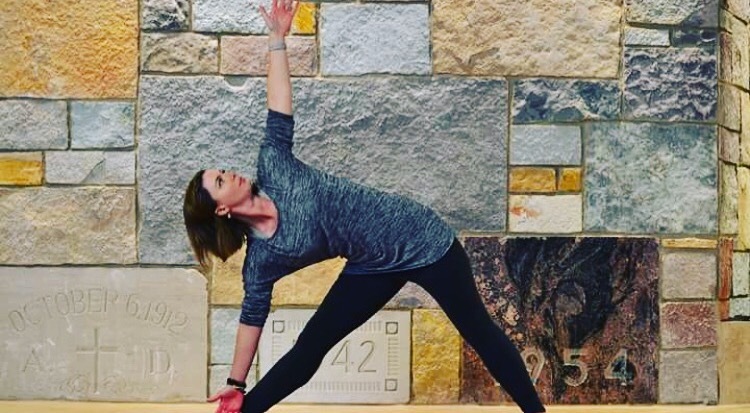 Lauren is certified as a vinyasa and hatha yoga teacher, and enjoys providing clients with a challenging, heat building sequence as well as a deep, relaxing cool down. Lauren incorporates traditional yogic philosophy teachings into her classes, and introduces clients to different types of meditation as well. Lauren is committed to giving each individual client the attention they deserve, and will ensure that modifications are in place for various injuries, limitations ect. Additionally, she is available for private lessons to focus on individual goals and needs. She is registered through Yoga Alliance. With over 20 years experience in the fitness industry and a desire to positively impact people's lives, Erin left a successful career in business to form Approach Fitness LLC. Erin provides personal training services to clients of all ages and fitness levels in Chicago. Her goal is to consistently educate, support and motivate her clients to achieve their fitness goals. Erin guides her clients to form effective exercise patterns and suggests healthier nutrition options from day one. She develops long-term physical activity programs in line with her client's personal goals that are realistic, functional, and effective. Work smarter, with proper form, more consistently and efficiently than ever! Erin has completed 9 marathons, 7 half-marathons, 2 Ragnar Relays, and numerous 5k/8k/10k races. Erin is a mentor and pacer for the CARA Road Scholars program. Nate grew up in northwest Iowa spending much of his time outdoors participating in athletics including baseball, basketball and golf. He then attended Morningside College in Sioux City where he focused on political science and microbiology which fueled his passion for community involvement as well as health. Following an early graduation in 2013, Nate enrolled in Palmer College of Chiropractic where he was able to integrate his love for athletics with health and community service. Dr. Drees proceeded to work as a Teaching Assistant in the Diagnostic and Radiology Department, and as a rehabilitation/sports outreach intern. 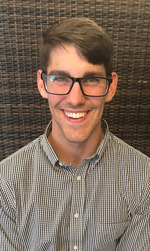 Over his last year of school Nate took his passion for community service abroad to Haiti and the Dominican Republic for chiropractic mission trips which spurred a greater interest in community service and traveling. Certified in ART, Graston, and Dry Needling, Dr. Drees approach to his craft is sympathetic, patient, and progressive. In his free time Nate enjoys sports (particularly baseball, softball, basketball and golf), reading, and learning how to play guitar. Additionally he loves the outdoors including kayaking, hiking and camping with his dog Nash. Contact Dr. Drees at natedrees10@gmail.com today to set up your appointment.